Marcel was born in The Pas, Manitoba. 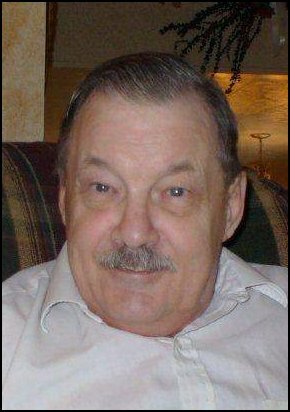 He passed away peacefully at St Anthony’s Hospital, The Pas, Manitoba, on Saturday October 22nd at the age of 72 years. He was raised in The Pas and moved to Thompson in 1959. Marcel returned to The Pas in 1981. While growing up, the highlight of many of his summers were spent with his extended family, Uncle Colin and Aunt Jeanette at The Tanglewood Farm in Bowsman, Manitoba. "The Farm" was always his home away from home. Marcel was always a hard worker even growing up, he chopped cordwood and hauled in coal for the woodstove and furnace as his dad was laid up with a broken leg that took a long time to heal. Marcel was very athletic in and enjoyed swimming in the summer. He was very confident of his swimming ability and swam across the Saskatchewan several times. Marcel had a lot of nerve and at one point dived off the top of the railway bridge into the Saskatchewan River with his pal, Alvin Saskowski. Alvin once said that by the time they got out of the water they were at the site of The Pas Lumber Company. At age thirteen Marcel’s life was changed when He suffered Sleeping sickness. (Encephalitis) After a struggle with this sickness he was left with a lifelong disability where he had issues with his coordination and balance. Marcel had read the book Reach for the Sky, a biography of Sir Douglas Bader, a man who lost both of his legs in a plane crash and against all odds, learned to walk on a pair of "tin legs". Sir Douglas badgered the Royal Air Force until they finally gave him a chance to have a test flight. He astounded the trainers when flew the plane perfectly. He became an Ace pilot flying spitfires during the Battle of Britain. Douglas Bader was Marcel’s role model and lifelong inspiration to never let his disability get the best of him. Marcel stubbornly learned to stand up with no sense of balance, and lack of coordination after falling and getting up and going at it again and again until he learned to walk all on his own. Marcel was also a member of The Royal Canadian Air Cadets, and even managed to march with the rest of his squadron. Marcel attended Sacred Heart School and Margaret Barber Collegiate. There he received his grade 9. The only reason he did not attend until Graduation was that with his coordination issues he was unable to keep up with all the writing that was required to do the school work. But, anyone who knew him knew that Marcel was well educated in almost any issue that came up. Marcel had a thirst for knowledge. Marcel was an avid reader all his life and read hundreds (perhaps thousands) of books of all types throughout his life. After leaving school Marcel’s dad got him a job at the RCAF DEW Line Radar base at Bird, Manitoba and Cranberry Portage (now the site of Frontier School). When the radar station at Cranberry closed Marcel’s dad found another job in the new town of Thompson in a camp working as a dishwasher and general clean-up guy where Marcel worked for a few years. Then he changed camps and worked for The Thompson Supply Company for a few more years. He then got a job working at Strand Billiards for about 5 years before changing jobs and worked for The Thompson Inn for 8 years. Marcel was laid off when the Hotel changed hands because the new owners felt that he could not handle the job. After trying to find another job, Marcel applied for a disability pension. Marcel and his three other brothers had bought a cottage at Clearwater Lake and he started spending his summers there along with his dog, Paddy. Marcel would often paddle in a canoe to Camper’s Cove to use the phone and report in that he was okay or to let us know what groceries for us to bring on the weekends. The family started relocating to The Pas after his dad retired. His younger brother Gilles had moved back to The Pas in the spring of 1979 to work with his brother-in-law Gene and his sister Adrienne. Marcel followed suit in 1981. He took residence at that time at Catherdral Apartments. He became involved with the MLPH (now MLPD) Manitoba League of Persons with Disabilities). He served with the MLPD for the rest of his life. He reacquainted with a life time friend, Mike Szadiak who mentored Marcel into various projects. One project in particular Marcel was proud of was having changes to sidewalks and businesses to make them wheelchair accessible. Marcel with Mike at the helm met with various politicos and secured funding and promises which eventually got the Pine View Manor built for handicapped persons and the elderly. Marcel also served on the board for The Pas Handi-Van until his death. In his handwritten notes, Marcel stated, "These committees are my greatest personal accomplishments in my life, and give me the utmost satisfaction". Marcel found he could do more for the MLPD and became President of the entire Provincial arm of the MLPD and became very popular in the Winnipeg office but rather than relocate he stayed in The Pas and commuted every couple of weeks via Grey Goose Bus to conduct business. He was able to do this and served as Provincial president and vice-president of the MLPD for several years until a stroke left him even more disabled. Marcel had bought himself a three wheel bike to save on cab fares and was often see peddling everywhere. Marcel for many years, rode on his three wheel bicycle and coffee with his Sister and family was just a Bike ride to Clearwater Lake and back. Marcel had refused to get a scooter which the Knights of Columbus had offered to get him. Marcel said, "Get one for someone who needs one." After his stroke Marcel finally agreed to get a scooter as he could no longer get around as easily as before. His brother-in-law and sister bought him a brand new scooter and he was ON THE ROAD AGAIN!! Marcel lived at Pine view manor from the time of its opening until he passed away. During this time he made many friends there and was involved with the Pine View Tenants’ association. They were always doing something within the Manor. Playing regular bingos spring and fall yard sales, handing out candy at Halloween. Congregate dinners- lots of happy times together. Marcel’s greatest enjoyment was spending time with family and friends. He spent many happy hours walking miles with his brothers hunting and going on many camping and fishing trips. He loved to visit with all his family and reminisce about all their adventures, play cards and games. If there was a Montreal Canadian game on….You had better be cheering for the right team. His Sister Elaine was the Apple of his eye; he moved her to The Pas in 1995 and shared an apartment with her, so that he could care for her. When she broke her hip and had to move to St Paul’s Care home, He made the daily trek through all kinds of weather on his Scooter or the Handi-Van to visit her and they would Visit in activities area, and every Tuesday he would play Bingo just so he could win her prizes. Or they would sit in her room and watch the movies and tea he bought for her. One thing his family can attest to, Marcel never once complained or ever felt sorry for his disability stating always that there were always others who were worse off than he. Marcel was a Third Degree Knight of Columbus and an Associate Member of The Royal Canadian Legion Branch #19. Marcel leaves to mourn: his sisters Adriene (Gene) Hrabarchuk and Elaine LaFontaine; brothers Remi (Denise) LaFontaine, Gilles (Kym) LaFontaine and his "Baby" brother Louis LaFontaine; as well as, a large number of aunts, uncles, nieces, nephews and cousins. Marcel was predeceased by his parents Art and Eleanor LaFontaine, and Uncle Colin Roberge. A Favorite Quotation of Marcel’s by: Sir Douglas Bader / Group Captain, R.A.F. "To my way of thinking, A disabled man who has achieved independence is NO LONGER DISABLED." Marcel was laid to rest beside his parents Friday October 28th at Lakeside Cemetery in, The Pas Manitoba. Pallbearers: Remi LaFontaine, Gilles LaFontaine, Louis LaFontaine, Gene Hrabarchuk, Wayne Hall, and Robin Roberge. Honorary Pallbearers: Mike Szadiak, Umberto Willner, Heather MacKenzie Erin Legace, Sue Franklin, and Ellie Marsh - As well as ALL 0f his good friends and residents at Pine View Manor; Honor Guard, and The Knights of Columbus.